Damian Gardnier was born in County Mayo, Ireland to cattle farmer in 1968. With 6 brothers, one being a twin, Damian was the only one interested in riding. He started riding ponies for local farmers, and then at the age of 15 he went to ride with the legendary Iris Kellet. A one month trial with Iris turned into 5 years during which Damian won the young riders championship twice and numerous grand prix, his first at the age of 16. At the age of 20 Damian moved to San Diego, CA and was hired to ride for several different owners. He won numerous grand prix and started his own business before being hired by Pinon Farms as private rider. During the 7 years with Pinon Farms Damian won grand prix in the US: $150,000 Fivova Grand Prix of Indio, Del Mar Classic Grand Prix, and in Canada at Spruce Meadows he won the Chrysler Classic Derby and the Smirnoff Derby and had success in Europe. 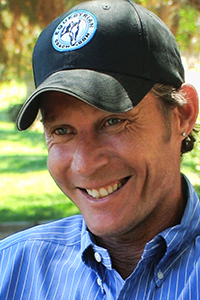 In 1996 Damian rode Patty Arnetts stallion Arthos in the Atlanta Olympic Games for Ireland. In this topic Irish Olympian, Damian Gardiner, shares his free schooling exercise with us. This is a great way to introduce spooky jumps to a horse before riding. 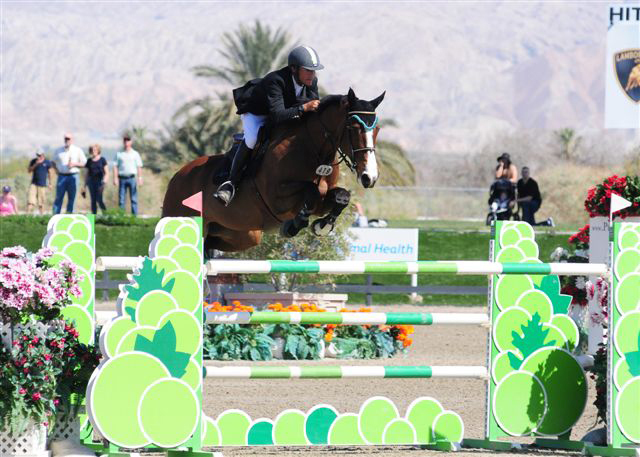 Irish Olympian, Damian Gardiner, shares his expertise on hackamores. If you are considering trying a hackamore on your horse, get Damian’s advice on type and fit in this great topic.